This episode will surprise you! You always hear having confidence in yourself will propel you to take risks and accomplish your goals. But what if you could get yourself to take action without confidence? On today’s episode, I interview Janet Whalen, a CoActive career transition, courage and confidence coach at BeAmbitiousForHer.com – a coaching practice for mid-career women. Janet also hosts She Breaks the Mold – the podcast for women who are ambitious for themselves and each other at work. 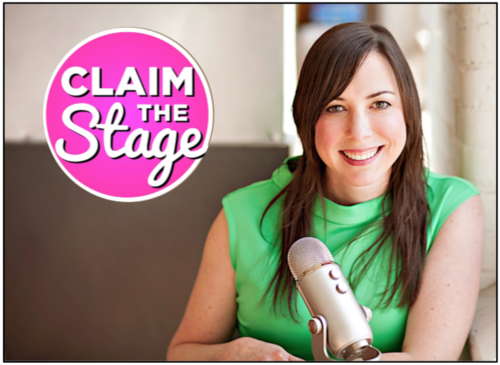 I was a recent guest on that show and we talked about the importance of finding your voice. This episode is sponsored by Told Video: Original, thoughtful storytelling for your brand. Here to help you with your next step in marketing: a meaningful video. Let your story out into the world – get it Told. Learn more at Toldvideo.com.